Investigations by Bounce News earlier revealed that the late wife’s family ordered the arrest of Uti and has since moved the four children produced by the union to a different location. Power Uti lost his wife and was arrested on Wednesday October 11, 2017. Circumstances that led to the death of the mother of four is still not known. Sgt. Jimah Iseghede, the prosecutor, told the court on Tuesday that John Eke Uti a.k.a. Power Uti committed the offences on Oct. 10 about 10.25 p.m. at No. 17, Oremeji St., Ilupeju, Lagos. Iseghede alleged that Power Uti beat his wife, Toyin, 38, to death and abandoned the corpse in a room to decompose. He accused the Nigerian wrestler of murder and disrespect of corpse. 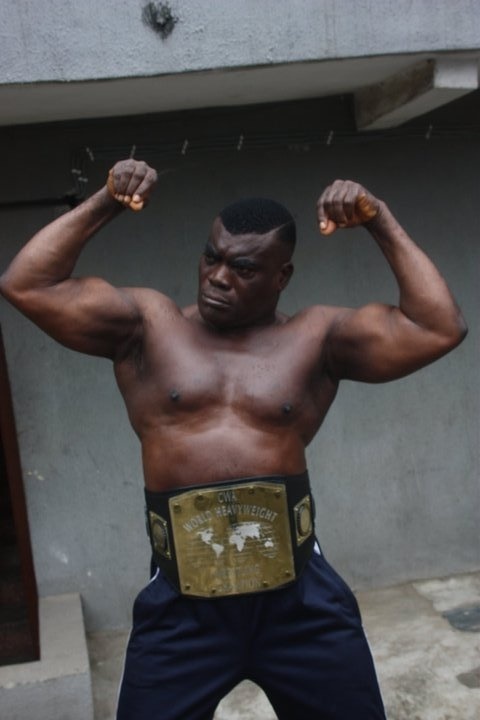 Also read: Nigeria Wrestling Champion, Power Uti Arrested! Magistrate Bola Folarin-Williams at the Ebute Meta court, after going through the case file, said she does not see anything to show that Uti killed his wife. She squashed the application brought by the police to remand Uti, and consequently admitted the accused to a bail of N500,000 with two responsible sureties in like sum, who must be blood relations and also work with reputable organisations.